A great, and inexpensive way, to add a touch of flair and finesse to your clothing is with an embroidery patch. Versatile in terms of size, shape and color, and uses, they can really help your pieces to stand out and give them a signature look. Much like a varsity letter on a jacket or a family crest on the breast of a shirt, they command attention and make shoppers notice them, and your collection. They are also quite practical, as you can use them for logos, team numbers and more, so they can fit in any collection. Embroidered patches, when done right, lend an air of authority and exclusivity to a line, making it look and feel more high end. They can also extend the life of pieces, such as in the case of an athletic or school team, allowing you to change names or number on shirts, jackets and more. That’s why no matter what you use them for, you need high-quality patches that are made and applied right. Here at Sun Tat we can provide you with embroidered patches that are of the finest craftsmanship. We have spent years fine-tuning our technique so that we can provide you with the best patches on the market. Felt, lace or 3D, sewn, Velcro’d on or heat sealed, our expertly crafted patches can be made in any style or design you need. And if you need help creating a patch, not to worry because our design and graphics team can help you come up with exactly what you need. Sun Tat will never give you less than perfection, so you can give your customers perfect pieces every time. Embroidered patches are meant to add dimension to an existing piece of clothing. Whether you are using them to emblazon your company logo on a shirt or want to add names and numbers to team jerseys, they add another layer of design that can take your pieces beyond their initial style. Created from a base using cloths, nylon, twill, felt or velveteen and stitched over with varying yarns and threads, these patches can be made using a large selection of colors and complex designs. There are fully embroidered and partially embroidered options; what you choose will depend on costs and look. Fully embroidered patches are patches where the base is completely covered in thread and are the more expensive choice, though still reasonably priced. Partially embroidered patches are those that have part of the base material exposed, possibly to create a background or border. They are less expensive as they use less thread and can be used for a wider range of designs and fine detailing. Whichever type of patch you choose, you can play with designs and colors for a custom patch that can’t be found anywhere else. And since you are using threads instead of dyes, they tend to be cleaner- no running or bleeding. It can have a slogan across it or a picture- whatever message or function you need. And the threading and materials used are quite strong, so they won’t unravel or fray. Embroidered patches are a great way to increase revenue: they make a line feel more sophisticated, which makes shoppers more inclined to pay higher prices. Think of the Ralph Lauren Polo horse: it is a distinct patch that quietly conveys quality and worth, so consumers don’t question or mind the prices. 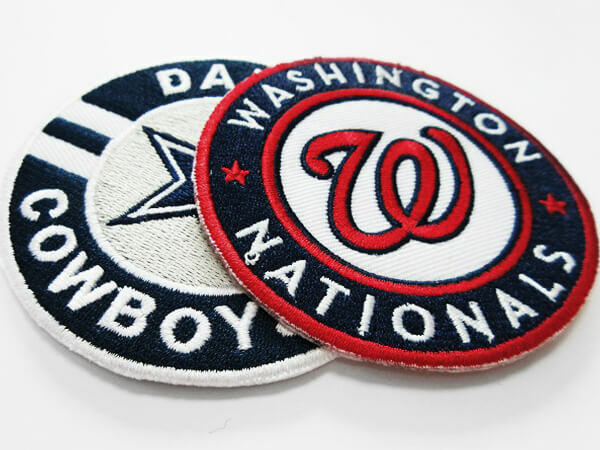 Which brings up another important advantage of using embroidered patches: they let your brand stand out and sets it apart from competitors in the same price bracket. These patches draw the customers eye, making your brand instantly recognized, even when hanging on a rack of similar items. That recognition translates to more sales and customer loyalty. That is a big plus for those using these patches for team jackets and jerseys as well. 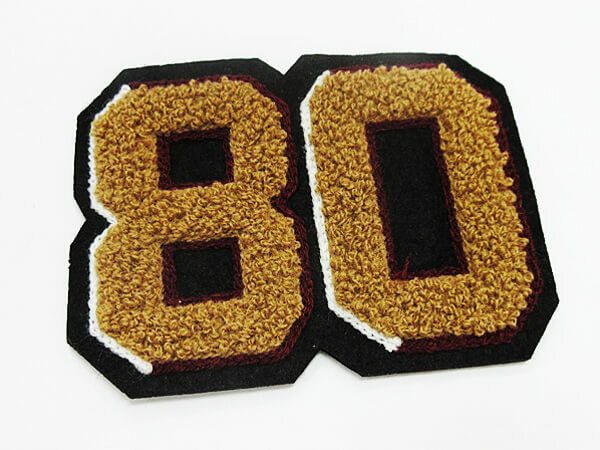 Embroidered patches are durable and noticeable, two musts for athletic teams. And with removable, Velcro patches, it gives teams the ability to switch players without ordering new uniforms. So they will have more to spend on patches. Finally, these patches can be made to your exact specifications. You can put a picture of any object, to any scale and in any size. Want your teams tiger mascot on a sleeve? No problem. Need a slogan to circle your symbol? Piece of cake. Whatever you imagine can become reality with these patches. Felt patches are made using a felt background and are usually sewn on using heavy yarns made of wool, cotton or acrylic. They are slightly raised and can be made into a large range of shapes, like letters, animals or symbols. The heavy yarn makes these patches more suited to broader, simpler designs, and can be done with partial or full embroidery. They generally hold 8 colors, but if you use a partially embroidered design the background color can make the total 9. They are sewn using a moss, or loop stitch and add a finished look to pieces. 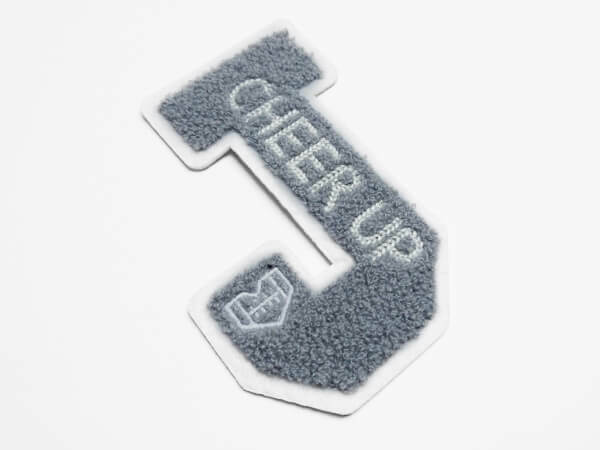 As the name implies, these labels have a terry cloth, or towel like appearance and are most often used for letters and numbers on athletic or team jackets. They are usually sewn onto canvas or other type of heavy material, but the threading is soft in appearance and can become fuzzy with repeated washings, so they are best used on outerwear. These labels are sporty looking and limited to large designs that aren’t complicated. 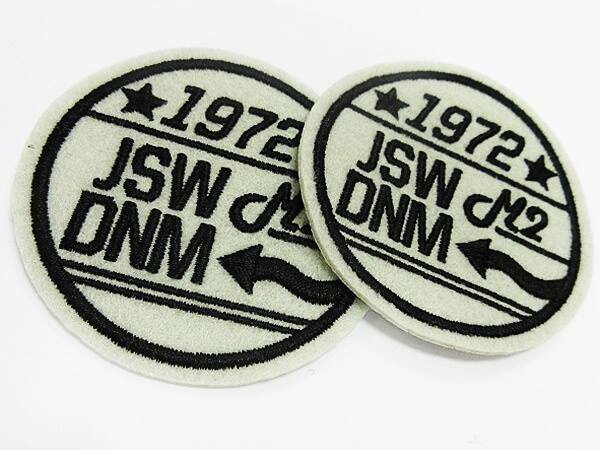 With a raised design to give it dimension and depth, these patches are similar to the toweling embroidery patches. They can be made in a variety of colors and usually sport 2 colors: the outer edge color, made from the base material, and the inner color made from the yarns used to create the 3D look. Embroidered Lace/Tape: These labels resemble a more traditional tag and have a flat, finished look that works best with slogans and names. They are quite durable, using a sewing technique that makes the words that are sewn across them seem as if they are one with the backing. The base can be lace, cotton or twill, and are available in a wide variety of colors. They stand up well to washings and weather, so they are a good fit as an outer label. Embroidered patches with Velcro and heat sealed backing make for long-lasting patches that are tops on terms of versatility. These patches can be embroidered, or sewn using threads of varying thicknesses, so you can create intricate and complex designs that have a smooth finish to them. Velcro Backing can be done using a two-sided, or hook-sided (one-sided) material. Velcro is quite durable and is best used for uniforms or team apparel where the patches are changed frequently. They are quite durable and vibrant looking. Heat Seal Backing uses a heat press to permanently adhere the embroidery to any backing. It is one of the most popular techniques for applying and sealing patches. Sun Tat is dedicated to giving you custom, premium embroidered tags that will be everything you imagined. These patches are affordable, fun and can improve any collection, making them a smart investment. View our work to see all we can offer and please contact us with any questions. Whatever you need, we can give you.